wooden package with plastic packing inside or customized package. Zirconia are the most widely applied and cost effective technical ceramic material. It offers a combination of superior mechanical strength and electrical properties, wear resistance and corrosion resistance. The maximum working temperature is up to 1700 °C with relatively high thermal conductivity. It is also an electrically insulating material with a high electrical resistivity. The good corrosion resistance makes it insoluble in water and slightly soluble in strong acid and alkaline solution. 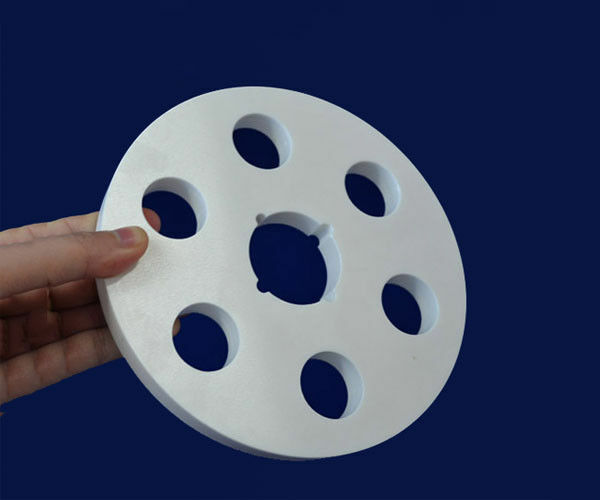 Mingrui ceramic manufacture and provides zirconia ceramic disc for a wide range of application like Mechanical Equipment, Electronic & Electrical, Oil Drilling, Medical, Chemical Industry etc. According to actual application and customer's requirement, the purities vary from 95%-99.7% and the forming methods will be different. The forming methods applied in our plant include dry pressing, isostatic pressing, injection moulding, extrusion moulding. With experienced engineers and talented workers, we are confident to offer high quality, high precision, complex components for customers worldwide.